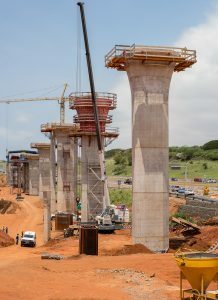 The project involves the construction of a major motorway junction, the N2-M41 Mount Edgecombe Interchange, in the north of the city of Durban, which includes two of the longest viaducts in the country. The construction, with dimensions of 26 meters in height by 947 meters in length, and 18 meters by 443, is made with the launching bridge system, thereby not interfering with the traffic below. As foundations showed no significant issues, it was decided to use the standard formwork model P300. 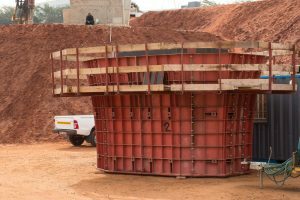 For the casting of piers and pier cups, the modularity of the P300 system would certainly have permitted the casting of octagonal piers, but given the particular characteristics of the project, the times would be more dilated giving less accurate aesthetic results than with a system of customized formwork. 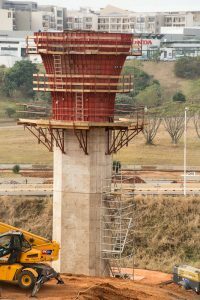 With its experience in infrastructure, Pilosio therefore studied and created special steel formwork to guarantee quicker application, a better aesthetic finish, and above all allow the realization of casting to 5 m height at a time to piers of up to 23m in height, as required by the company. The climbing system guaranteed fast feedspeed of jets and high safety for operators. 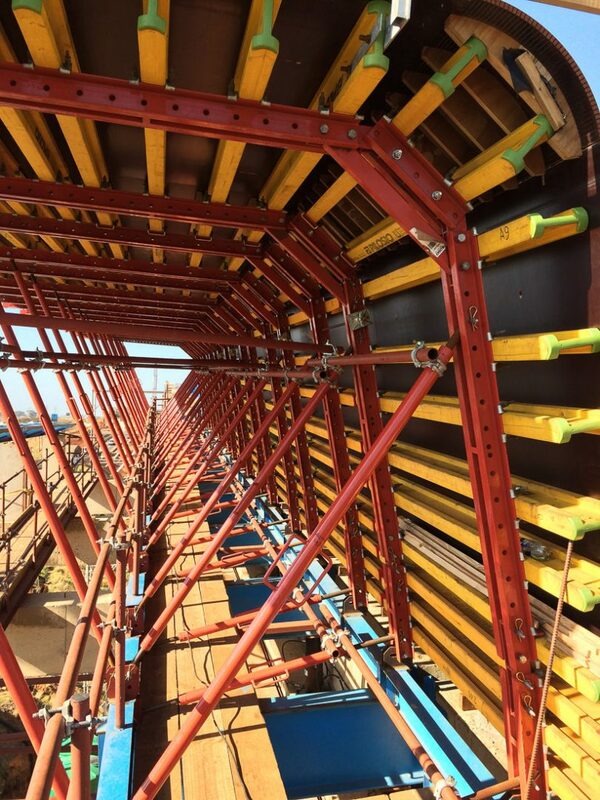 Moreover, these custom formworks leave neat visible holes in the concrete, as the bars are sized and positioned necessary to the hold, but in an “orderly” manner. Finally, having 26 stacks of identical sections, the cost of the equipment would be softened by the highspeed work of the casting. In fact, with the equipment once delivered, the company could cast three piers simultaneously. 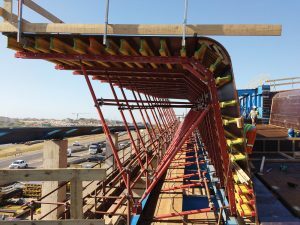 For casting the pier cups, the CMC company asked for custom made formwork to cast 3 + 3 m in height. 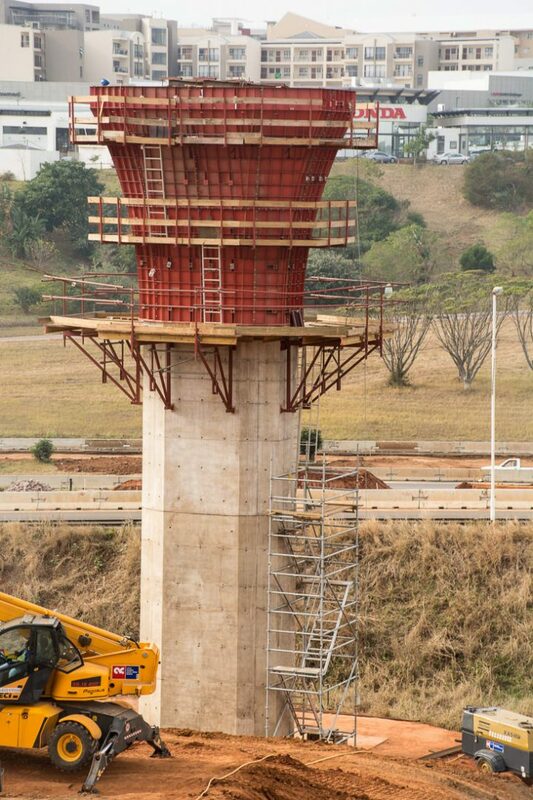 The piers are supported by towers in MP with safety access stairs. The most complex part of the viaduct concerned the casting of the decks of the bridge done onsite with the launching bridge system. 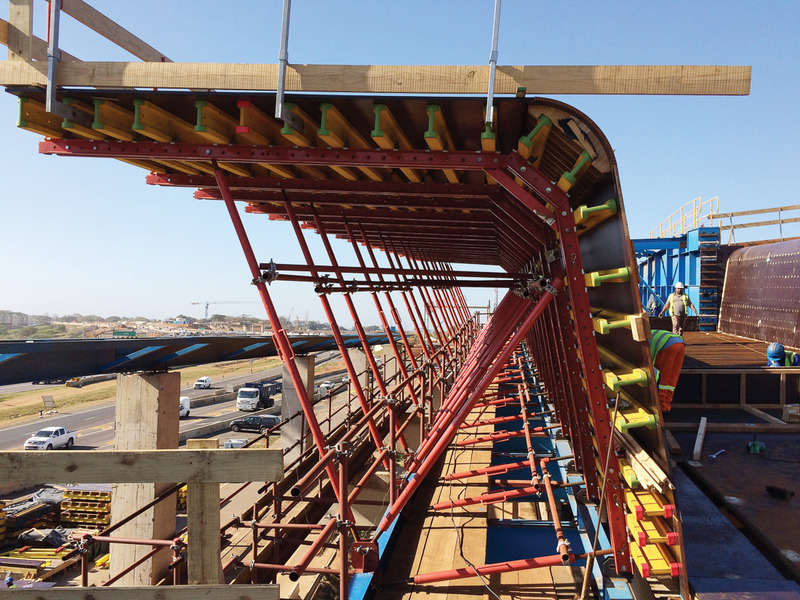 For the onsite casting of decks, approximately 20 m in length each, a mixed formwork system is used consisting of the MAXIMIX system for the base and exterior of the ashlar, with major beams in steel and secondary beams in wood to form the outer shape of the MAXIMIX beam. 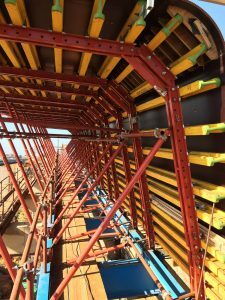 The second phase of the casting of the upper horizontal decking is made with SIMPLEX support towers, which are modular and extremely fast to assemble and handle.